Sneha, aged 27, was the only Indian driver in the championship, drove a Proton Saga for Team DV Motorsport in a grid of 70 cars divided into 4 categories - Pro, Advanced, Intermediate and Casual. Sepang International Circuit (Malaysia), 9 March 2019: After the solid practice yesterday where Rajiv closed at ever highest position of 7th and the 18-year old rookie Senthil too zoomed to 17th position in the AP250 class, the solo Indian team IDEMITSU Honda Racing India today celebrated its best ever performance in FIM Asia Road Racing Championship (ARRC). Today’s race made India proud and recorded many firsts. It is the first time that both riders of India’s solo team scored points at Asia’s toughest road race championship in same race. Rajiv recorded the best ever finish by Indian rider in AP250 class of ARRC at 11thspot (earlier highest 13th). The teen rider Senthil too showed the power of Young India and became the first Indian rookie to win 2 points with 14th finish in his debut ARRC race itself! With this, Honda’s Indian team has made its best ever season start with tally of 7 points in the first race itself. In lap 1 itself, Rajiv made a good start from his 14th position. While climbed to top bunch but had to drop back due to other rider crash. But his perseverance paid off mid-race.Overtaking 2 riders in lap 4 and maintaining this till the last 8th lap, the 21-year old recorded his best ever finish in AP250 class at 11th position. With this strong finish, Rajiv swooped his highest single race haul of 5 points in race 1 of 2019 ARRC season itself. Senthil showed the might of confident young Indian riders in his debut race itself. Starting 17th on the grid of 25 riders, Senthil made a good start and overtook 3 riders in lap 1 itself. From there till the end of race, Senthil was battling it out with Taipei rider Chiou Ke-Lung and closed at 14th position with total lap time of 20:17:513. With this, Senthil is now the youngest Indian rider and the first ever Indian rookie to score a point in Asia Road Racing Championship. With 2 crashes in lap 1 itself, the afternoon AP 250 Race 1 saw battle start from the word go. The fight went on till the chequered flag of 8 lap race with Indonesian riders wrapping up the first 6 positions finish. Overtaking to win race 1 just 100 meters short of the finish line was Lucky Hendriansya of Astra Honda (19:34:655), with Andy coming 2nd (19:34:839) and Irfan Ardiansyah also from Astra Honda completing the podium (19:38:376). Dubai, March 9: India’s Aishwarya Pissay completed a highly successful run in the first round of the FIM Bajas World Cup as she topped the women’s category and also picked up useful points in the junior category as the two-day event, covering 400 Kms of Special Stages across sand dunes, concluded here today. Aishwarya Pissay, 23, from Bengaluru, and supported by TVS Racing, Mountain Dew, Scott Motorsports India and Big Rock Dirt Pack, not only achieved her immediate target of completing the grueling two-day event but also collected useful championship points. After crossing the finish line on completing the day’s 204 Kms Special Stage, Aishwarya, said: "I am thrilled to have finished the rally as it is a confidence booster. Day 2 was much better for me as I made fewer mistakes and looked to pick up my pace. “All the training from the past few weeks really made a difference in the dunes. I will definitely be back next year and look to improve my performance." Aishwarya, India’s first-ever women’s National Racing champion, finished the World Cup 26th in Overall classification with a much-improved performance on Day 2. Chennai, March 1, 2019: Challenging itself to strive to develop world-class iconic motorsport riders and team mechanics from India, Honda Motorcycle & Scooter India Pvt. Ltd. today announced its international racing team for 2019 season. In 2019, Honda reinforces its commitment on its direction which is ‘To develop iconic Indian rider for National & International Championships’ with a more aggressive THREE-PRONGED approach. “Honda is driven by a challenging spirit and passion to win. A lot of people have high expectations from us, so we will work hard as a team to get the best possible results. With 2 of India’s most promising riders representing the IDEMITSU Honda Racing India at Asia level, we are aiming that our boys climb the top group and make India proud on the international stage in 2019. In the 2019 season of Asia Road Racing Championship (ARRC) - Asia’s toughest road racing championship since 24 years, the solo Indian team IDEMITSU Honda Racing India strives to emerge as a tough challenger to the best Asian riders in the Asia Production 250cc class. Leading the battle in ARRC battle will be experienced Rajiv Sethu for whom this year will be his 3rd season in ARRC. Rajiv has shown consistent improvement since his ARRC debut in 2017; climbing from 46th spot in his inaugural year to and earning India multiple points and closing 27th position in 2018. Backing Rajiv up as teammate is the 17-year-old promising rookie rider Senthil Kumar. In 2018, Senthil showed promising results in his debut year at Thai Talent Cup while grabbing the 3rd position in the 2018 INMRC Pro Stock 165cc championship on the domestic front. The biggest hurdle in the development of an INDIAN iconic rider for International Championships has been the late entry point into professional racing. But Honda’s is challenging this and fast-tracking the career development of young Indian riders who have high potential. The unique platform – the IDEMITSU Honda India Talent Hunt, introduced in 2018, has become a huge success in the country. Honda’s team of experts combed through 132 young riders at the hunt, hailing from 21 cities across 7 states and has identified top 12 with immense potential. The new riders for 2019 season of Thai Talent Cup are 14-year-old Chennai boy Mohamed Mikail & 18-year-old Kritik Habib from Gadag, Karnataka. From bagging top positions in IDEMITSU Honda India Talent Cup last year to fast-tracked career development through Honda’s key Asian rider development program, these talent hunt stars have come a long way. 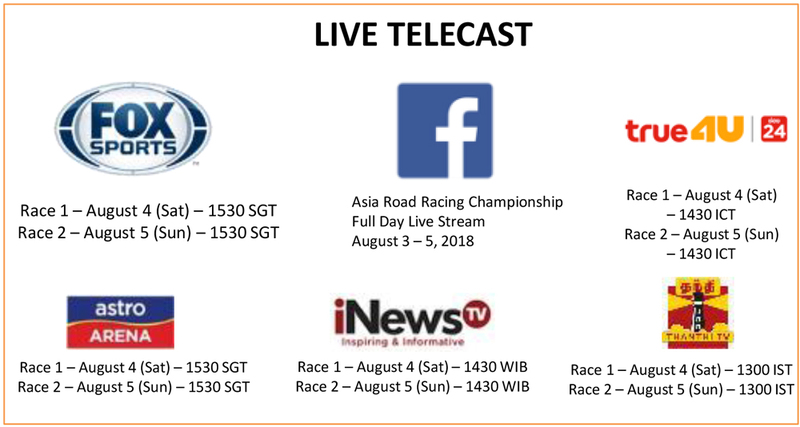 About 2019 FIM Asia Road Racing Championship: The 24th edition of FIM Asia Road Racing Championship is Asia’s most competitive motorcycle road racing championship, held since 1996. The 2019 season will have a total of seven rounds across 5 countries (Malaysia* 2, Australia, Thailand * 2, Japan & South Korea) starting from 8th March 2019 with the battle going all the way to the last round December 2019. ARRC is part of the production-based category of racing, similar to the Supersport World Championship. This year the Championship will feature four main classes. This includes the newly introduced premier class of Asia SuperBike 1000 over and above the existing three classes SuperSports 600cc, Asia Production 250cc, and the Underbone 150cc. The RX2 International Series presented by Cooper Tires is the leading official support series to the FIA World Rallycross Championship presented by Monster Energy, developing and nurturing the discipline’s future stars. All drivers compete in identical 310bhp machinery, with a single-round World RX Supercar prize drive awarded to the eventual champion and a World RX Supercar test day on offer to the second and third-placed finishers. The 2019 calendar takes in seven events, with the first six taking place throughout Europe before a spectacular South African season finale. A range of options is available for participation depending on budget, from joining a professional team to rental arrive-and-drive packages – contact Series Manager Ian Davies for further information. RX2 provides the perfect stepping stone for drivers climbing the rallycross ladder. In recent years, the series has welcomed competitors from disciplines as diverse as stage and cross-country rallying, cross-kart, folk race, karting, single-seaters and even SuperMoto – as well, obviously, as rallycross itself, attracting talent from the RX Academy, Super1600 and TouringCar. While from a wide variety of backgrounds, all RX2 drivers share a common goal – that of reaching the very pinnacle of the sport, the FIA World Rallycross Championship. As a series, RX2 works hard to foster ever-closer links with World RX and World Championship promoter IMG, with RX2 drivers and teams regularly invited to official activities from pre-event activation to autograph sessions and pre and post-race press conferences. Taking place in front of the World Championship teams, RX2 offers aspiring rallycross superstars and independent competitors alike an extremely accessible, affordable and direct route to the top of the sport and is the perfect place for drivers to prove their potential in front of a loyal, engaged and enthusiastic audience. For the first time ever, we will then move to Facebook Live and show the Prize Giving ceremony, giving fans unprecedented access to the most glamourous night of the motor sport calendar. In addition to the championship honours, a number of other awards will also be presented. These include a prize voted for by the public, FIA Action of the Year, as well as the FIA Personality of the Year, selected by permanently FIA-accredited journalists and FIA Rookie of the Year, decided by the FIA Drivers’ Commission. A highlights programme from the event is available to broadcasters around the world from Formula 1 TV. The FIM (Federation Internationale de Motocyclisme) founded in 1904, is the governing body for motorcycle sport and the global advocate for motorcycling. The FIM is an independent association formed by 113 National Federations throughout the world. It is recognised as the sole competent authority in motorcycle sport by the International Olympic Committee (IOC). Among its 50 FIM World Championships the main events are MotoGP, Superbike, Endurance, Motocross, Supercross, Trial, Enduro, Cross-Country Rallies and Speedway. Furthermore, the FIM is also active and involved in the following areas: public affairs, road safety, touring and protection of the environment. The FIM was the first international sports federation to impose an Environmental Code in 1994. WorldFinals of Motorcycle Drag Racing held at South Georgia Motor Park, Valdosta, GA (USA). India’s first ever representation at the World Finals of Motorcycle Drag Racing with Sonu Sundeep Singh Sokhi & Amit Sharma having made our country proud 🇮🇳. We salute the “Fastest Indians” for their commitment & dedication to the “World Fastest Sport”. All odds were against the 2. They had never raced on a Drag Prepped Surface, had not been used to the Power of the machines & got only 2 days of training under Rickey Gadson Drag School. That’s a tough ask for anyone to perform with such seasoned racers. But they did it in style and beat the best in the World & earned their RESPECT on a #GlobalPlatform. There were over 800+ Participants (2000+ entries) from across the Globe. Racers who have 20+ years of experience. Sundeep Singh Sokhi (Sonu) qualifies #3 out of 35 entries in “Street fighter Class“. Sonu earned his way to the final 8 bikes in a sea of seasoned racers. Amit Sharma becomes the “Fastest Indian Rider” in India’s drag racing history when he produced a 8.87sec time-slip. He earned his way to the Top 16 in a seasoned racers class of 64 entries. Elite Octane’s initiative has opened a doorway for India Racers to perform at the highest level in the “World’s Fastest Sport - Drag Racing”. The initiate which start at India’s premiere Drag Racing event - The Valley Run 2017 saw Rickey Gadson’s attendance and also was host to the first ever Rickey Gadson Drag Racing School in India. The 2 Indian Racers were selected from this very group by the 11 Time World Champion. The journey from Valley Run (Aamby Valley City, India) to World Finals has been incredible & we certainly see a bright future ahead for Indian Racers with support from FMSCI. The new all-Indian pair of Armaan Ebrahim and Anindith Reddy in the Pro class of the 2018 Lamborghini Super Trofeo Asia series started off finishing ninth and second respectively in the two practice sessions at the Sepang circuit in Malaysia. With Ebrahim driving the Top Speed Racing Lamborghini Huracan Super Evo car in Qualifying 1, the Indian finished third with a time of 2m03.856s for Race 1, which was 0.493s away from pole-sitter #63 FFF Racing Team pair of Andrea Amici and Artur Janosz, while sister #19 car of Jack Bartholomew and James Pull were second. For his first-ever qualifying session in the one-make series, Reddy finished eighth overall and fourth in Pro class with a time of 2m06.243s. Pole went to #2 Leipert of Ben Gersekowski & Richard Muscat from sister #33 car of Mikko Eskelinen & Juuso Puhakka and third was #19 FFF Racing of Bartholomew and Pull for Race 2. The opening race of the 2018 season saw a dominating performance by the pole-sitting #63 car of Amici and Janosz. The latter had a perfect start to lead the way, but behind the #2 car moved into second after the #19 car bogged down, while Ebrahim stayed third in his #27 Lamborghini. With Janosz already creating some gap, the Indian was not far off from the #2 car until it was forced into a retirement with a suspected suspension failure. This promoted Ebrahim into second, but the Indian couldn’t claw hugely into Janosz’ lead. The lead was huge enough that even the pit stops didn’t matter hugely as Amici returned and extended it further from now second placed Reddy. The Hyderabad-born driver was unfazed though as he managed his race well on debut – only his second international race as well. In the end, Amici won it comfortably by 29.626s margin, but most importantly Reddy managed to stay ahead of the fighting pair of #68 Gama Racing’s Evan Chen and Achiro Asai and the #recovering #19 Bartholomew and Pull, but the former managed to take third by just the 0.731s margin. It was Reddy's turn to start in the second race on Sunday. The multiple Indian National Champion had a good run to be sixth in the opening stages while defending from the #68 driver Asai. The Japanese driver was on Reddy's tail for majority of the stint in the battle for sixth. Reddy was first to pit when the window opened, with Ebrahim taking over and having to endure the same pressure as Asai's teammate Chen also got on his tail. Both gained a position though after pit stop to be fifth and sixth respectively, but Chen was unable to find any place to overtake Ebrahim - finishing just the 0.456s behind the Indian pair after a race long fight. April 15, Mumbai/Valencia: Mumbai-born Advait Deodhar has made history in the opening round of the 2018 NASCAR Whelen Euro Series at Circuit Ricardo Tormo, Valencia (Spain). The 28-year-old became the first Indian driver ever to win a competition in the championship in only his first time racing in Europe. Racing in the Elite Club Division for Mishumotors in the #33 Chevrolet Camaro Monstrous 5.7 V8 440 bhp, in a time trial format, Advait won the event in a combined result. The Mumbaikar finished first in the opening session, while he was second in the final session. The Indian’s overall penalty time was set at 4s072ms, which was 0.848ms lower than second placed Marcelo Silva (4s920ms), who won the second session. Third place went to Clemens Sparowitz after his time of 5s812ms. As in NASCAR, Advait had a spotter to guide him through the sessions to match the target time set by the NASCAR organisers, which was pretty intense for the Indian driver since he had to pace his Camaro in the different sectors according to the target time. “I came into this round to test the waters of the Euro NASCAR Championship. I've worked pretty hard to get funding to drive as my Euro NASCAR scholarship is only usable if I drive the full season. After a brilliant start to his stock car career, Advait was greeted by several of the top NASCAR officials and teams from America and held positive talks for the future appearances in the series. While nothing can be confirmed at this stage, but an official word will be made through a release when signed upon. Hailing from Mumbai, the 28-year-old Advait Deodhar only started racing in 2012 when he was 22-years-old. 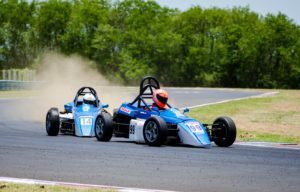 His first outing was in the Indian National Championship’s LGB cars, which forms the bridge between Karting and Junior open-wheel competitions. He moved to the MRF F1600 series in 2013, where he competed until the 2015 season. He was in contention for the title in 2014 season but was forced to miss one round due to illness which cost him the championship. He made an appearance in the international MRF Challenge series as well in the 2014/15 season. He has also competed in few Touring Car races in India, which includes a race win in the Toyota Etios one-make series on debut, before eventually deciding to relocate to the UK to try and compete in the sportscar/touring car championships at the international level. Gaurav Gill clinches the fifth MRF FMSCI Indian National Rally Championship title speeding towards a grand victory at the MRF 43rd K1000 Rally held in Bangalore. Chennai's Mahaveer Raghunathan became the first Indian to win the European Racing Championship where he sped to victory in the Boss GP Championship ( Formula Class) at Imola. Yamaha Thailand Racing Team’s Decha Kraisart has logged a new track record at Round 5 of the 2017 FIM Asia Road Racing Championship hosted at MMRT. Gaurav Gill led the show along with his co-driver Musa Sheriff at the Round 3 of MRF FMSCI Indian National Rally Championship 2017 in Jaipur. FIM Asia Road Racing Championship 2017 – Round 4 Results. FIM Asia Road Racing Championship 2017 – Round 4 to be held at the Madras Motor Race Track in Chennai, India on 23rd –24th September 2017. Anindith Reddy made a dominating win in the MRF FF1600 class while Arjun Narendran swooped a win at the Indian Touring Cars category, also competing a double at the fourth round of MRF MMSC FMSCI Indian National Racing Championship at MMRT. A gritty fourth place finish for India's upcoming racer Shahan Ali Mohsin at the Rotax Grand Festival Austria. Bengaluru's Hemanth Mudappa emerged as the quickest in the second round of MMSC FMSCI Indian National Drag Racing Championship at MMRT. Team Fmsci India finishes 3rd in the Asian Auto Gymkhana Competition held in Indonesia on 22nd July. Hyderabad racer Anindith Reddy and Coimbatore’s Arjun Narendran share honors in MRF FF1600 category at the the third round of MRF MMSC Fmsci Indian National Racing Championship at MMRT. Mumbai's Aaroh Rabindra raced to victory in the Senior Max of the second round of Meco Motorsports FMSCI National Rotax Max Karting Championship. Rajiv Sethu (Super Sport Indian up to 165cc) and Amarnath Menon (Super Sport Indian 300-400cc) achieved a grand double at the Round 2 of MRF MMSC FMSCI Indian National Motorcycle Racing Championship 2017 held at MMRT on Sunday. India's 10 year old champ Ruhaan Alva came off with ninth place in Round 6 and an overall 4th position at the Italian EasyKart Championship in Castelletto, Italy. Gulf Oil Lubricants India Limited (GOLIL), part of Hinduja Group, is an established player in Indian lubricant market. It markets a wide range of automotive and industrial lubricants, greases, 2-wheeler batteries, etc. Today, the Gulf brand is present in more than 100 countries across five continents with values of 'Quality, Endurance & Passion' as its core attributes. The Gulf Oil International Group's core business is manufacturing and marketing an extensive range consisting over 400 performance lubricants and associated products for all market segments. It is with great sadness that we have to report the passing of the American motorcycle champion Nicky Hayden (Red Bull Honda World Superbike Team) following a cycling incident along the Riviera di Rimini on Wednesday 17 May. Nicky was involved in a collision with an automobile whilst out training and was taken directly to a local hospital. Following close examination, he was then taken to the Cesena hospital for further treatment and possible surgery. Every effort was made to provide Nicky with the best possible care, but on Monday 22nd May it was announced he had succumbed to his injuries. Known as the Kentucky Kid, Nicky burst on to the world scene in 2003 just one year after he was crowned AMA Superbike Champion. Securing two podiums in his opening season, he took his debut victory in 2005 at Laguna Seca and sensationally reached his dream of being crowned FIM MotoGP World Champion in 2006. After making the move to the World Superbike Championship in 2016, Nicky stood on the podium three times for Honda, including his debut victory at the Sepang International Circuit. The FIM and Dorna WSBK Organisation extend their condolences to Nicky Hayden’s family, friends and team. 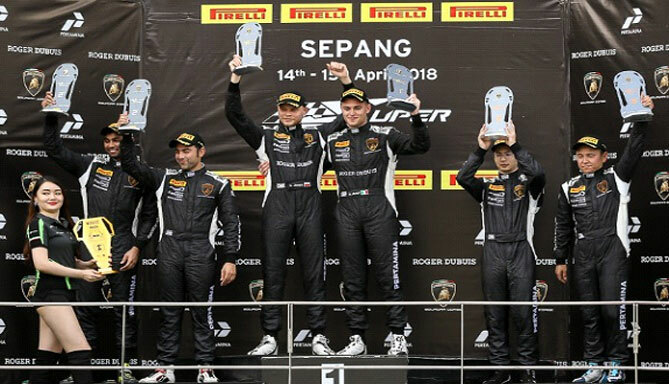 Indian racer Aditya Patel and Mitch Gilbert from Australia clinched a 3rd place podium in the second round of the Blancpain GT Asia Series held in Buriram – Thailand. Indian Racing Driver, Armaan Ebrahim and Jack Bartholomew from the UK takes a well deserved podium finishing 3rd in the second round of the Lamborghini Super Trofeo Asia Series 2017. Johor Bahru (Malaysia), April 3: Shankar Sarath Kumar, representing RAMA Honda Racing by NTS T.Pro Ten10 team, and supported by Honda 2Wheelers India, made a promising start to his campaign in the 2017 FIM Asia Road Racing Championship by picking up points in the SuperSport 600cc class double-header here over the weekend. 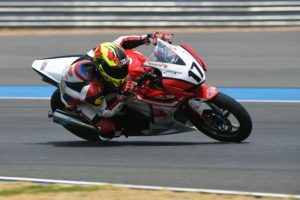 Chennai-based Sarath, coming back from a knee injury, improved his time and consistency, and appeared more comfortable with the bike, Honda CBR 600WR, especially in Race 2, while scoring points in both the races. The other Indian in the fray, Rajiv Sethu, also in the RAMA Honda Racing team by NTS T.Pro Ten10 team livery, and participating in the Asia Production 250cc class, became the first rider from his country to race a Honda CBR 250RR. With limited development time and test, the Chennai-based youngster made good use of the platform to finish ahead of few bikes on the grid to hold out great promise at the start of the new season. Sarath and Sethu are part of a five-rider contingent in two classes, backed by John Sudheer of RAMA Group of Companies and who is also the team ambassador. For RAMA Honda Racing team by NTS T.Pro Ten10 team, it was a fruitful weekend in the SuperSport 600cc class as Japanese ace Tiga Hada delivered two podium finishes in the double-header. He finished second in Race-1 and won Race-2 to take an early lead in the championship. Close on the heels of its impressive debut at the Dakar 2017, Hero MotoSports Team Rally, the motorsports team of Hero MotoCorp - the world’s largest two-wheeler manufacturer - is gearing up for India BAJA 2017 in April this year. This will be the Team’s second rally raid on the Indian soil after its podium finish at the Maruti Suzuki Desert Storm in Rajasthan, in February. 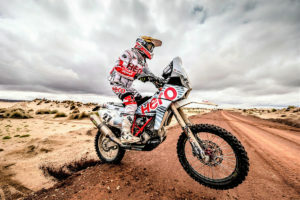 Hero MotoSports Team Rally is aiming to deliver yet another good performance at the India BAJA 2017, after the team clocked an impressive debut season at the Dakar rally earlier this year. For the India BAJA 2017, Hero MotoSports Team Rally will be participating with its ace Portuguese rider Joaquim Rodrigues (JRod), who will be making his debut on Indian Soil. Hero MotoSports Team Rally has decided to rest C S Santosh to give him more recovery time. Santosh hurt his spine during a nasty crash in the recently concluded Maruti Suzuki Desert Storm. While the team is really happy with his recovery and progress so far, Santosh has been advised some more rest before he starts riding again. India BAJA will be held from April 7-9 in the expansive Thar Desert of Jaisalmer in the state of Rajasthan. This edition of India BAJA is a part of the Dakar Challenge events which means that the winner of India BAJA gets a free entry into Merzouga Rally in Morocco in the month of May and also an opportunity to participate in Dakar 2018. Chennai, March 23: The grand finale of the 2016 MMSC Fmsci Indian National Drag Racing Championship will be run at the refurbished MMRT track in Sriperumbudur, near here this weekend with Round 2 scheduled for Saturday and the concluding round on Sunday. For the first time the National Drag Racing Championship will be held at the iconic MMRT track which is being transformed into India’s only multi-event motorsport facility run by a club with provision to conduct events ranging from racing to karting to dirt track competitions. Organisers Madras Motor Sports Club, backed by an enviable track record of organising motor sport events in India and abroad for over five decades, have taken the initiative to bring drag racing, still in a nascent state in the country, under the National Championship umbrella aided by regulations designed to provide a safe and controlled environment for enthusiasts in both two-wheeler and four-wheeler categories. Chairman of the Meet Farhan Vohra said: “We at the MMSC have always endeavoured to provide a safe environment for racing and set a high benchmark in this respect. Keeping this in mind, we decided to provide a structure and organization to drag racing which is fast gaining popularity, especially among the youth. “At this weekend’s races, we will be using state-of-the-art timing equipment which we imported from the USA and this move reflects our efforts to take the sport to the next level. As was the case for the inaugural round in Hosur in November, the entries have been encouraging with nearly 100 participants vying for honours in various categories. The start-finish straight at the MMRT track has been extended to conform to the regulations. The spotlight would be on Bengaluru’s Pratap Jayaram and National two-wheeler champion Jagan Kumar of TVS Racing from Chennai who won in the Indian Open class among cars and bikes, respectively. Veteran Jayaram, driving a modified Reva, evoked memories of his salad days as racer a few decades ago by clocking the fastest time in the Hosur round and is expected to dish out a repeat performance this weekend. Likewise, Jagan Kumar took no prisoners while riding his trusted TVS Apache RTR to victory in the Indian Open besides topping the time charts in the 165cc class. Meanwhile, the Superbikes will lend a dash of glamour and to the proceedings with Mysuru’s Rizwan Ahamed starting out as a favourite to top the class like he did in the previous round. The two-day event beginning Saturday will be a two-tier affair comprising National Championship and support races for both bikes and cars. All four-stroke bikes fall into the National Championship category, the showpiece events being the Indian Open (modified) and the Superbikes. The organizers have made it mandatory for two-wheeler participants in each and every class to be kitted out in racing leather suits. As a special gesture, TVS Racing will provide racing suits for participants who do not own their own kit. In the four-wheeler category, the Indian Open (modified) and the Unrestricted classes form the National Championship backed by support races. The Madras Motor Sports Club has been the pioneer in developing and promoting motorsport in India since 1953, and we look to further improve in the years to come. It is the club’s endeavor to provide more opportunities for competitors and to this end, it has chalked out a progressive program for 2016. From the days of Sholavaram , MMSC built its own racetrack which was inaugurated in 1979 and secured its FIA Grade-2 international certification in 2015, making it the only club which owns such a facility. The club has organised the Porsche Super Cup, Formula Campos, Formula Asia, Asian touring car championships, Formula 3, Tata Prima Truck racing championship, the Asian 2-wheeler racing championships besides a host of other motorsport events over the years. The club also has active participation for its events from vehicle manufacturers who also use the Madras Motor Race Track (MMRT) extensively for testing their products. Anand Philar, AP Media Communications. CHENNAI, February 19: In a thrilling finish, British teenager Harrison Newey snatched a dramatic victory for a brilliant treble to emerge champion in the MRF Challenge 2016 that was run concurrently with the second round of the MRF MMSC Fmsci Indian National Racing Championship which concluded at the MMRT track, Sriperumbudur, near here on Sunday. The highlight of the day's proceedings was the presence of cricketing icon Sachin Tendulkar who put in a few laps of the circuit in a twin-seater racing car much to the delight of the crowd. In a tight finish, Harrison and championship leader Joey Mawson from Australia tied on 277 points, but the British driver was adjudged champion on the basis of his six wins. Mawson had three wins, including the one on Saturday. Mick Schumacher of Germany finished third in the championship with 213 points. Harrison, the 18-year old son of noted Formula One engineer Adrian Newey, trailed Mawson by 27 points going into the fourth and concluding round of the MRF Challenge, but the British youngster won three of the four races this weekend to pip Mawson at the post. Going into the fourth and last race of the weekend, Newey, who had won Race 3 in the morning session, trailed Mawson by 15 points. The Aussie looked certain to clinch the championship when he led until the 11th lap when he conceded track position to Newey and then to Schumacher, son of seven times F1 champion Michael Schumacher, to eventually finish third in the race that saw Safety Car being deployed following an on-track incident. Newey did himself a favour by putting in the fastest lap of the race which fetched him two crucial points that helped him tie with Mawson before the deadlock was broken on the basis of number of wins. 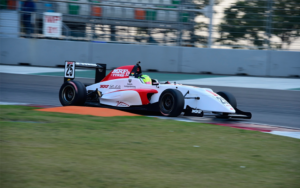 Earlier, starting from pole on the reverse grid, Sandeep Kumar scored an emphatic win in the MRF Formula 1600 to make up for his fourth place finish in the first race on Saturday. He drove a near-flawless race to win from Raghul Rangasamy and former champion Karthik Tharani. Three rookie drivers, Arya Singh (DTS Racing) from Kolkata, Mumbai’s Bhushan Thareja (Momentum Motor Sports) and Hyderabad’s Arun Showry (Momentum Motor Sports) dominated the Formula LGB 1300 race by finishing the race in that order and the trio also topped the Rookie Cup class to complete a fruitful weekend. Arya Singh made capital of the pole position and managed to hold off stiff challenge from Thareja while Bengaluru’s Yash Aradhya (Wallace Sports), who started from seventh on the grid, came up with a fine performance as he cut through the field to finish on the podium, but was subsequently excluded for “technical infringement”. Showry thus gained a spot from fourth to third. 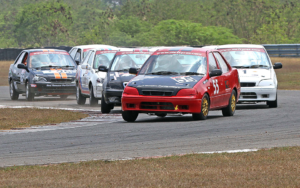 Narendran of RAD Racing yet again underlined his supremacy in the Saloon car category by comfortably winning the race for a fine double, having won the first outing on Saturday. The race was interrupted by a Safety Car period, but Narendran, who had started fourth on the reverse grid, timed his run to near perfection for a comfortable victory. Provisional results: MRF Challenge (F2000) – Race 3 (15 laps): 1. Harrison Newey (Britian) (23mins, 19.855secs); 2. Juri Vips (Estonia) (23:27.768); 3. Ralf Aron (Esonia) (23:28.971). Race 4: Newey (27:33.142); 2. Mick Schumacher (Germany) (27:36.826); 3. Joey Mawson (Australia) (27:38.411).National Championship – MRF F1600 (Race 2, 8 laps): 1. Sandeep Kumar (Chennai) (13:35.993); 2. Raghul Rangasamy (Mahabalipuram) (13:36.536); 3.Karthik Tharani (Chennai) (13:40.090). Formula LGB 1300 (Race 2, 8 laps): 1. Arya Singh (DTS Racing) (18:00.626); 2. Bhushan Thareja (Momentum Motor Sports) (18:09.998); 3. Arun Showry (Momentum Motor Sports) (18:10.725). Rookie Cup: 1. Arya Singh; 2. Bhushan Thareja; 3. Arun Showry. Saloon cars – Indian Junior Touring Cars (Race 2, 8 laps): 1. Hisham KP (DTS Racing) (19:29.060); 2. Kamlesh Parmar (Team N1) (19:44.851). Super Stock: 1. Varun Anekar (Race Concepts) (18:52.938); 2. Veeresh Prasad (Race Concepts) (18:55.226); 3. RP Rajarajan (Performance Racing) (19:11.183). Esteem Cup: 1. Narendran (RAD Racing) (18:51.292); 2. Anant Pithawalla (Team N1) (18:53.144); 3. Sudanand Daniel (Red Rooster Racing) (18:53.754). About Madras Motor Sports Club The Madras Motor Sports Club has been the pioneer in developing and promoting motorsport in India since 1953, and we look to further improve in the years to come. It is the club’s endeavor to provide more opportunities for competitors and to this end, it has chalked out a progressive program for 2016. From the days of Sholavaram , MMSC built its own racetrack which was inaugurated in 1979 and secured its FIA Grade-2 international certification in 2015, making it the only club which owns such a facility. The club has organised the Porsche Super Cup, Formula Campos, Formula Asia, Asian touring car championships, Formula 3, Tata Prima Truck racing championship, the Asian 2-wheeler racing championships besides a host of other motorsport events over the years. 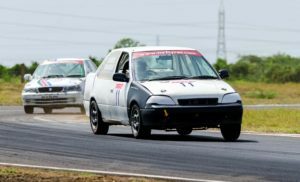 The club also has active participation for its events from vehicle manufacturers who also use the Madras Motor Race Track (MMRT) extensively for testing their products. Chennai, February 18: Australian Joey Mawson shrugged off a wretched qualifying session to pull off a brilliant win and extend his championship lead over Britain’s Harrison Newey by 27 points in the final round of the MRF Challenge which headlined the second round of the MRF MMSC Fmsci Indian National Racing Championship at the MMRT track in Sripeumbudur, near here on Saturday. While Mawson and Newey stole the day’s limelight, there were other impressive performances in the National championship that saw Karthik Tharani (MRF F1600), Prashanth K (Formula LGB 1300) and Narendran (Saloon cars) winning their respective races in contrasting styles. Newey, starting from pole position, clinched the top spot in the MRF Challenge’s first race after an initial struggle. Mawson, who had qualified seventh, won the second outing quite comfortably after overhauling reverse grid pole-sitter Daniel Ticktum (Britain). The results saw Mawson taking his championship tally to 250 points while Newey, who was fourth in the second race, has 223 and the other title contender Mick Schumacher (195) was in third position ahead of Sunday’s double-header. 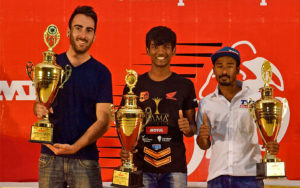 Tharani, who was placed second in the championship last season, put in a fine performance for a lights-to-flag victory after surviving some close attention from Anindith Reddy of Hyderabad who finished a second ahead of Raghul Rangasamy, who hails from the nearby temple town of Mahabalipuram. It was a touch-and-go battle right through in the 10-car grid as Tharani made a good start from pole position and had to fight hard to nurse his spot despite being hounded by Reddy all through the eight-lap race. The Formula LGB 1300 class had a combined grid of National Championship and the Rookie Cup categories. Prashanth K of Wallace Sports comfortably took the honours in the Championship class while team-mate Rithvik Thomas won in the Rookie Cup class. The 25-car grid of Saloon cars, comprising three categories of Indian Junior Touring Cars, Super Stock and Esteem Cup, proved extremely competitive. Narendran of RAD Racing (Esteem Cup) exchanged track position with Varun Anekar of Race Concepts (Super Stock) before pulling away to win the race while Anant Pithawalla of Team N1 (Esteem Cup) eased way into second spot. Anekar eventually finished third in the combined classification. 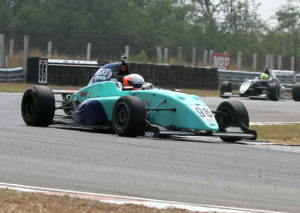 Anekar, however, topped the Super Stock class while Himam KP (DTS Racing) won in the Indian Junior Touring Cars class. Provisional results: MRF Challenge (F2000) – Race 1 (15 laps): 1. Harrison Newey (Britain) (23:25.716); 2. Mick Schumacher (Germany) (23:29.961); 3. Ralf Aron (Estonia) (23:34.870). Race 2: 1. Joey Mawson (Australia) (23:21.673); 2. Ralf Aron (Estonia) (23:30.696); 3. Daniel Ticktum (Britain) (23:32.466). 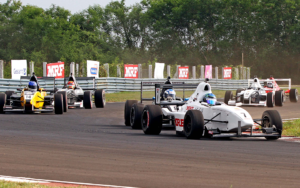 National Championship– MRF F1600 (Race 1, 8 laps): 1. Karthik Tharani (Chennai) (13:40.482); 2. Anindith Reddy (Hyderabad) (13:40.787); 3. Raghul Ramasamy (Mahabalipuram) (13:42.240). Formula LGB 1300 (Race 1, 6 laps): 1. Prashanth K (Wallace Sports) (12:25.429); 2. Bhushan Thareja (Momentum Motor Sports) (12:32.250); 3. Arya Singh (DTS Racing) (12:37.468). Rookie Cup (6 laps): Rithvik Thomas (Wallace Sports) (12:31.682); 2. Bhushan Thareja (Momentum Motor Sports) (12:32.250); 3. Arya Singh (DTS Racing) (12:37.468). Saloon Cars (Race 1, 8 laps) – Indian Junior Touring Cars (Race 1, 8 laps): 1. Hisham KP (DTS Racing) (18:04.888); 2. Kamlesh Parmar (Team N1) (18:14.762). Super Stock: 1. Varun Anekar (Race Concepts) (17:01.187); 2. RP Rajarajan (Performance Racing) (17:04.577); 3. Sree Venkata Teja (Performance Racing) (17:25.719). Esteem Cup: 1. Narendran (RAD Racing) (16:53.793); 2. Anant Pithawalla (Team N1) (17:00.975); 3. Sudanand Daniel (Red Rooster Racing) (17:17.153). About Madras Motor Sports Club The Madras Motor Sports Club has been the pioneer in developing and promoting motorsport in India since 1953, and we look to further improve in the years to come. It is the club’s endeavor to provide more opportunities for competitors and to this end, it has chalked out a progressive program for 2016. From the days of Sholavaram , MMSC built its own racetrack which was inaugurated in 1979 and secured its FIA Grade-2 international certification in 2015, making it the only club which owns such a facility. The club has organised the Porsche Super Cup, Formula Campos, Formula Asia, Asian touring car championships, Formula 3, Tata Prima Truck racing championship, the Asian 2-wheeler racing championships besides a host of other motorsport events over the years. The club also has active participation for its events from vehicle manufacturers who also use the Madras Motor Race Track (MMRT) extensively for testing their products. Chennai, Feb 16: There is plenty of high octane action on cards as the second round of the MRF MMSC Fmsci Indian National Racing Championship kicks off at the MMRT track in Sriperumbudur, near here this weekend along with the grand finale of MRF Challenge (Formula 2000) which boasts of a highly competitive grid containing young guns from abroad, some of them boasting rich racing pedigree. In all, 10 races have been scheduled over Saturday and Sunday after Friday’s free practice sessions. Much of the attention will be on the four MRF Challenge races where Australian Joey Mawson (211 points), Harrison Newey of the UK (184) and German Mick Schumacher (171) are locked in a three-way battle for the championship. The MRF Challenge returns to Chennai after previous rounds in Bahrain, Dubai and Greater Noida (Buddh International Circuit). One of the highpoints of the weekend will be the presence of MRF brand ambassador Bharat Ratna Sachin Tendulkar who is expected to do a few laps of the circuit in a twin-seater racing car on Sunday. The MRF Challenge is being run concurrently with the National Racing Championship that includes MRF F1600, a revamped Formula LGB 1300 and the Saloon cars which comprise the Indian Junior Touring Cars and the Super Stock while the Esteem Cup will be making its debut, but not counting towards the National championship. The high-end Indian Touring Cars will be joining the championship in the next round to be run in March. The entry-level Formula LGB 1300 which also has a Rookie class provides an option for youngsters moving up from karting to open-wheel racing. The Rookie class is part of MMSC’s continuing efforts to attract fresh and young talent, especially among students and the initiative has met with an encouraging response with 22 entries. 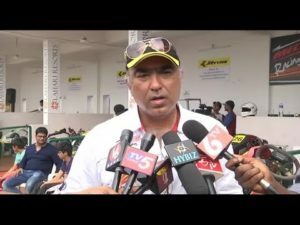 Chairman of the Meet Vicky Chandhok said: “Now that we have the single-seater category in place as a platform for talent to move up the ladder, we decided to focus on saloon cars in our effort to encourage participation of more car manufacturers in the National Championship in keeping with MMSC’s vision. “With this in mind, we have thrown open the Super Stock to all comers and not just restricted to the Maruti Esteem. 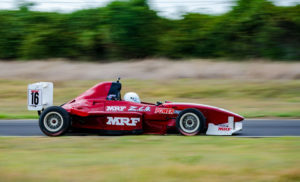 The MRF F1600, where the champion at the end of the season will be eligible to participate in the Mazda Road To Indy shootout in the United States, is no doubt the flagship of the National championship with a very competitive grid. The first round in Noida last month saw Bengaluru’s Ananth Shanmugam and Nayan Chatterjee from Mumbai winning a race apiece. The two share the top spot with 40 points apiece, ahead of 2015 Volkswagen Vento Cup champion Anindith Reddy (36) from Hyderabad. The grid also has 2016 Vento Cup champion Ishaan Dodhiwala (Hyderabad) who is in his first single-seater season and managed just six points in the previous round. Hyderabad: The awards giving ceremony, an annual feature in the Federation of Motor Sports Club of India (FMSCI), was organised at a much more lavish scale this year under the stewardship of its recently elected president Akbar Ibrahim. As many as 75 winners were presented with trophies for their victorious efforts in the year gone by. Five time National Rally Champion Gaurav Gill was decorated with the prestigious ’motorsports person of the year award’ here on Friday at a glittering function attended by the entire galaxy of racing and rallying stars in the country. Gill, the reigning Asia Pacific Champion had a spectacular 2016, winning all five rounds of the APRC to set a new record, received the Raymond Gautam Singhania Trophy from Jean Todt, the president of FIA (Le Federation Internationale de l’Automobile). A packed banquet hall stood up in unison to applaud his feat. Mr B Vijay Kumar, owner of the Kari Motor Speedway, was also given the lifetime achievement award for his immense contribution to the field of motorsports in the country. “This is a special day for motor sports as the FMSCI was formed exactly on this day, 44 years ago,” Akbar said. “I am proud to say that we had as many as 350 tournaments through the year, which makes us the third most active motor sporting country in Asia,” he added. He promised to take the sport and the country to greater glory by bringing in more world class events while also ensuring that the infrastructure and quality of officiating reaches international standards. “We will tie up with all our partners so that racing not only becomes cheaper for our drivers and teams but also a much better experience,” he promised. FIA president Todt, the brain and power behind Ferrari’s much feared Formula One team, couldn’t stop marvelling at India’s amazing culture and fascinating traditions. ‘You are a country of over a billion people. We have a great challenge ahead of us. But it provides us so many wonderful opportunities too,” he declared. “India has always been a very strong federation in the FIA and I want to tell you that you now have a very strong ally in me to develop motor sport in the country,” he added. Chennai, January 22: Young Rajiv Sethu of Honda Ten10 Racing clinched the title in the Pro Stock 165cc category after scoring a grand double over the weekend in the fifth and final round of the MRF MMSC Fmsci Indian National Motorcycle Racing Championship which concluded at the MMRT track, Sriperumbudur, near here on Sunday. Locked in a tight tussle for the title with team-mate and championship leader Hari Krishnan Rajagopal going into the final round, Sethu, returning from a major hip injury, kept his wits about him to win both the races to clinch the title. Hari Krishnan was under pressure to stay in front and had a disastrous weekend as he failed to pick up any points. Also scoring a double in the National championship was Jagan Kumar of TVS Racing who continued his fine form while retaining title in the top-end Super Sport Indian 165cc class to finish the season with five wins from 10 starts. Jagan, though, had to work hard for his second win this weekend as he was pushed for much of the six-lapper until he managed to get his nose in front in the latter half to take the chequered flag before doing a lap of honour to celebrate his fifth National title in a row. Equally dominating was Auroville-based Spaniard Ami van Poederooijen of Rockstar Racing in the Super Sport Indian 300-400cc class as he completed a double for seven wins, six of them in a row. He had sealed the championship on Saturday after winning the first of the two races, but that did not stop him from further underlining his dominance by topping the second outing today. The concluding day’s proceedings witnessed its quota of close and exciting racing, especially in the MMSC One-Make Championships as Meka Vidhuraj (Suzuki Gixxer Cup Open), Joseph Mathew (Gixxer Cup Novice), Kannan Karnan (TVS Apache RTR200 Open), Yashas RL from Bengaluru, who won all the three races over the weekend (TVS Novice), Mathana Kumar (Honda CBR 250) and Anish Shetty from Hubballi (Honda CBR 150) clinched the titles in their respective categories. National Championship – Super Sport Indian (300-400cc): 1. Ami Van Poederooijen (Rockstar Racing) (12mins, 19.918secs); Amarnath Menon K (Rockstar Racing) (12:30.675); 3. Abhishek V (Rockstar Racing) (12:34.792). Super Sport Indian (165cc): 1. K Jagan Kumar (TVS Racing) (12:20.839); 2. S Kannan Subramaniam (TVS Racing) (12:20.878); 3. 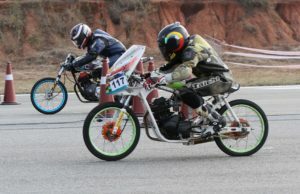 Harry Sylvester (TVS Racing) (12:21.161). Pro Stock 165cc: 1. 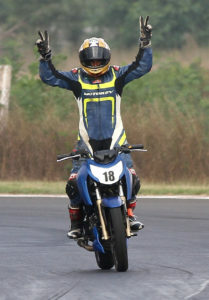 Rajiv Sethu (Honda Ten 10 Racing) (12:54.164); 2. Mithun Kumar PK (Honda Ten 10 Racing) (12:54.986); 3. D Dinesh Kumar (RACR) (12:55.286). MMSC One-Make Championship – Honda CBR 250 (Open): 1. Hari Krishnan Rajagopal (Honda Ten10 Racing) (12:44.938); 2. Mathana Kumar S (Honda Ten10 Racing) (12:45.576); 3. Ananth Raj P (Pro Lap Racing) (12:48.902). CBR 150 Novice (4 laps): 1. Piyush Ranjan (Patna) (09:11.729); 2. Anish D Shetty (Hubballi) (09:11.765); 3. Soorya PM (Chennai) (09:12.070). TVS Apache RTR 200 (Open): 1. Arun Muthukrishnan (Chennai) (13:34.470); 2. Kannan Karnan (Chennai) (13:34.991); 3. Shyam Shankar (Chennai) (13:43.346). Novice (4 laps): 1. Yashas RL (Bengaluru) (09:07.614); 2. Hari Prasath R (Chennai) (09:09.367); 3. Peddu Sriharsha (Chennai) (09:10.905). Suzuki Gixxer Cup (Open): 1. Aaron Gunawardena (Sri Lanka) (13:37.638); 2. R Rajinikanth (Chennai) (13:37.715); 3. Vivian Gladwin (Kanpur) (13:38.097). Novice (4 laps): 1. Joseph Mathew (Chennai) (09:16.665); 2. Amarnath Rajan (Chennai) (09:17.987); 3. Alexander AS (Chennai) (09:19.629). Ph: +91-94835 48185 / B David Ph: +91-98455 69496. Working closely with the FIA and the FIA & FIM accredited Trainers, FMSCI now plans to conduct a comprehensive Training program for interested Marshall Clubs, Race Directors, Clerk of Courses and Stewards. Simultaneously the Technical Commissions will also be conducting a comprehensive Scrutineer Training program in the same period and at the same venue. The Marshall Clubs Training will be done on Train the Trainer basis. Each interested Club will be requested to nominate 2-3 representatives who will get trained by the International trainers. These representatives in turn will train their own registered Marshall and the FMSCI will then certify these clubs as recognized Marshall Clubs of the FMSCI. Organizers can be free to contact these clubs for providing of Marshalls for their events. The Race Directors and Clerk of the Course Training program, apart from those who already hold FIA, FIM and CIK Licenses will be for those who are currently officiating in such positions in National and Regional events and also for those with motorsporting experience who are interested in becoming a COC and then a Race Director. Once the Training is done, assessments will take place and the participants will be graded accordingly by the FMSCI and their names will be listed on the FMSCI Web Site so Organizers will then be asked to appoint COC's and Race Directors only from this panel. The Stewards' training program will be open to all the existing stewards as well as for new interested stewards. Post the training program there will be assessments done and a 4 tier grading system will be introduced. The FMSCI will then, through their Commission Heads, appoint Stewards from this panel for its sanctioned events. Chennai, January 19: The fifth and concluding round of the MRF MMSC Fmsci Indian National Motorcycle Racing Championship 2016, spilled over from last year following cyclone-induced postponement, is set for a thrilling finish at the MMRT track in Sriperumbudur, near here, with titles in all categories up for grabs. The card of 23 races to be run over three days beginning Friday includes the premium Super Sport Indian (400cc and 165cc) class along with Pro-Stock (165cc) and Stock (165cc) which form the National Championship besides MMSC One-Make Championships for TVS and Honda, and the Suzuki Gixxer Cup. Also scheduled are races exclusively for ladies, by Honda and Alisha Abdullah Academy. The Madras Motor Sports Club officials burnt the proverbial midnight oil to get the MMRT circuit facilities in order after the battering it received in December from cyclone Vardah that created havoc in the region while also forcing a postponement of the final round of the two-wheeler championship. Thus, it has been a three-month break in the championship and the riders, especially those in contention for the titles, are chaffing at the bit eager to get back into action. As such, with so much at stake, the competition is expected to be razor-sharp as in all the previous four rounds. In the Super Sport Indian (300-400cc), it will be a straight fight between two Rockstar Racing team-mates Ami van Poederooijen (135 points), a Spaniard based in Auroville, and Bengaluru’s Abhishek Vasudev (115), while a trio of TVS Racing mates reigning champion Jagan Kumar (141), Kannan Subramaniam (110) and Harry Sylvester (102), all from Chennai, are in title race in the Super Sport Indian 165cc class. Two talented racers from Chennai who performed well in the 2016 Asia Road Racing Championships, Hari Krishnan Rajagopal (153) and Rajiv Sethu (144), both from Honda Ten10 Racing team, are locked in a tight battle in the Pro Stock (165cc) category, having won seven of the eight races between them over four rounds. The Stock 165cc class will witness a four-cornered battle for top honours involving Hubbali’s Anish Shetty (122) of United Tech Torque, Antony Peter (Performance Racing, 120) from Coimbatore, Chennai duo of Joseph Mathew (Sparks Racing, 111) and PM Soorya (Team Speedup, 100). The situation in the MMSC One-Make championships is much the same with the title race wide open and multiple competitors in the running for the top prize. After Thursday’s practice sessions, action kicks-off with four races scheduled for Friday followed by a busy Saturday when 10 races will be run before the championship winds up on Sunday when the remaining eight are held. The programme will conclude with championship prize distribution trackside. 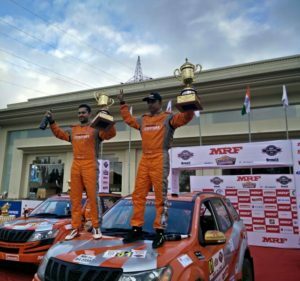 Bengaluru, 18th December 2016: Amittrajit Ghosh and Ashwin Naik pulled out all the stops to win the coveted MRF 42nd K1000 Rally 2016 in Bengaluru with an overall time of 00.51.40.2. This is the second time that the Team Mahindra Adventure driver has won India’s oldest rally in the country; the last one being in 2013. This was the second podium for Amittrajit post his win at the MRF Rally of Coimbatore in the month of July 2016. He said “Feels very nice to end the season with a win and having the most number of wins this season. We will come back better and stronger in 2017”. Amidst several championship contenders coming into the final round, Gaurav Gill of Team Mahindra Adventure failed to finish the rally when he had driveshaft failure in SS 1. Arjun Rao also failed to finish the event while running third due to gearbox failure. Mr. Arindam Ghosh, Director, RRPM, who are the promoters of the MRF FMSCI INRC and IRC, said: “It has been a lovely year of rallying and it can only get better from here. We promise to bring back an even better championship next year”. Abhilash PG and Srikant Gowda took overall honors in the MRF FMSCI Indian Rally Championship (IRC), run concurrently with the INRC, completing the event in a total time of 00:54:31.4, 00:04:57.0 ahead of Mohammed Kasim A.A and Sanath G. Ritesh.M.Guttedar and Sheraz Ahmed were third with a time of 01:00:00.9. It must be noted that the INRC and IRC are two separate championships and their results are not clubbed together or compared as they run distinctively different vehicles. The INRC is for two-wheel drive Indian vehicles only while four-wheel drive foreign vehicles are allowed to compete in the IRC. The K1000 Rally is running in its 42nd year. The name K1000 is attributed to the 1000 mile (1600kms) rally that used to run in the mid 80s. As part of the INRC calendar now, the rally spans across 104 kms through 6 stages around the village of Hosadurga that is known to have rich deposits of iron ore and manganese. Amittrajit and Ashwin took home Rs. 50,000/- in prize money. The prize money and trophies for the podium finishers were handed out by patrons of the Karnataka Motor Sports Club. About RRPM: Ramakrishna Race Performance Management Pvt. Ltd. (RRPM) is a company formed with the sole intention of promoting “Professional Motorsports” in India and provides all kinds of technical assistance and information required to be at par with the National Level. RRPM was started in 2003 by Mr. Arindam Ghosh, an icon in his own rights with rallying and organizational experience of over 40 years. RRPM is proud to be a part of the Federation of Motor Sports Clubs of India, which is the apex body of India. Ladies Back on the Track- 2016 FIM Asia Cup of Road Racing, Thailand. Aishwarya Madhusudhan and Shruthi Nagarajan are once again getting back on track for the 2016 FIM Asia Cup of Road Racing on 16th-18th December 2016 at the Thailand Circuit, Nakhonchaisri.The machine they will be using for the race is Yamaha Exciter 150cc. The two ladies made the country proud in the previous race by turning out to be the first two female riders from India to compete at the FIM Asia Cup Road Racing in Taiwan and performing well at their maiden attempt. And they continue to make India proud, by participating in the next race in Thailand. They seem to be their own competition, beating their own records with their dauntless attitude and will- above all their passion for racing. Adding on to this, Aishwarya Madhusudhan also receives an award in Delhi from the TIE Young Achievers Award on 16th Dec, straight from which she will be heading on to Thailand. Sujith Kumar, Chairman of 2w Racing Commission stated, “Aishwarya and Shruthi are among the fastest lady riders in our country at present and we feel their participation in International events could inspire more women to join the sport”. “Aishwarya and Shruti have redefined the threshold for women riders in India via their successful participation in the 2016 FIM Asia Cup of Road Racing. Their dauntless commitment and passion towards the sport is truly inspiring and I am sure that this is just the beginning of a great future that lies ahead of them. I do wish them the very best in all their future racing engagements" were the words from Akbar Ebrahim, President of FMSCI. It’s time to watch out for the ladies go vroom on the circuit. At the FMSCI Annual General Meeting of 2016,held in Chennai yesterday , Mr. Akbar Ebrahim was elected as the President of FMSCI and Mr. J.Prithiviraj elected as the Vice-President. The 43rd Annual General Meeting of the Federation of Motor Sports Club of India was held on Monday 12th December 2016 at Chennai. Elections were conducted for member clubs to be elected to the FMSCI council for the years 2017-2018. The following Clubs/Councillors were declared elected . Elections were also conducted for the post of President and Vice President and the following were elected by the General Body . Akbar Ebrahim is a well-known former racer and organizer of the National Rotax Max Karting Championship for last several years. He has been in the FMSCI council for the past 4 years and as a Chairman of 4W Racing Commission has streamlined and brought in many racing initiatives and programs which have resulted in a quantum jump in car racing in India. An action packed 2017 Fmsci calendar awaits motorsports enthusiasts with 13 National Championships in various disciplines set to kick off in January itself. At the recent concluded FIA AGM , the following Fmsci nominees were inducted in to the following FIA Commissions . GP Roop Kumar – Technical . Anand Sashidharan – Legal . Kolhapur, September 24: Senior Max favourite Ricky Donison and Micro Max star Shahan Ali grabbed pole positions for the biggest race-day of the 13th JK Tyre-FMSCI National Rotax Max Karting Championship, winning their respective heats in the fifth and final round with consummate ease here at the Mohite Racing Academy on Saturday. In the Junior Max, Chirag Ghorpade grabbed the honours by winning the first heat and playing it safe in the second, pulling out of the race to save his wet tyres in the fifth lap. He will hope to take advantage of his pole position to pull off a sensational win on Sunday. Ricky of BPC Racing showed his class on Day 1 of the championship weekend, grabbing the pole position from Vishnu Prasad in the qualifying and marking his intent right away. In H1, he built a huge lead by the second lap itself and looked untouchable all the way through. He clocked a stupendous 51.320 seconds, amazingly in the last lap to show that he is not going to let up until the final chequered flag comes out on what promises to be a stupendous Sunday. The Bangalore-based racer was equally imperious in Senior Max’s H2, quickly storming ahead of the field and taking the race with elan. He is currently on 324 points, just four behind the championship leader, Vishnu Prasad, and will fancy his chances on the big day, when a full house is expected to turn out to witness the grand finale. Local hero Dhruv Mohite gave Kolhapur’s fans a lot to cheer by snatching P2, and staying in line to pull off a sensational upset. He finished second in the first heat and third in the second to stay in the reckoning. He is on 314 points and knows that two great runs on Sunday can well give him the championship. He took advantage of a melee in the opening round of H1 itself to jump into the second position from third. In H2 too, he was in his elements, giving Ricky a run for his money. But he lost steam at the midway stage, allowing Nayan to come back into the action. The Mumbai lad will start on P3 while Vishnu of Meco will start on P4. In Junior Max, almost the entire field opted for a strategic race, not finishing H2 to save their tyres for the last two races just in caesarian plays spoilsport. One after the other, all the top contenders pulled out to give themselves a better chance to go for the kill on Sunday. In the event, the only lady karter Mira Erda of Erda Racing emerged the surprise winner in H2. She was followed home by Aditya Swaminathan and Bhragav Pradyumna, both of Meco. That will, however, not affect the grid positions for the pre-finals on Sunday substantially. Ghorpade (BPC Racing) will begin at P1 while Mira and Nirmal Umashankar will begin on P2 and P3. Manav Sharma, who will start at P4, remains ahead in the championship race with 334 points. Ghorpade is fourth with 317 points and will try to make the most of this huge advantagetomorrow. Newly crowned Asian Micro Max champion Shahan Ali (Meco) underlined his skill and temperament by winning his two heats in totally different conditions. Just after lunch, with the clouds still too far away to pose any threat, he built on his pole position to build a sizeable lead in the Micro Max. But the Meco racer had to absorb a lot of pressure in the latter part of the race as Aadityanash (Rayo) literally sat on his tail, looking for an opening to streak past him. Shahan, however, demonstrated remarkable calm and amazing defensive acumen to ward him off. Expectedly, he recorded the fastest lap (57.505 seconds) in the tenth lap; Aadityansh was just two tenths of a second behind him to show how aggressively he was driving. It was a breeze for Shahan in the second heat though, winning the wet race comfortably in 11.14.584 minutes. This was a crucial win for him. In the previous round, the slippery conditions set him back. But this time, he tackled the wet race with equal ease and jumped ahead and held on to the lead all the way till the last lap. He could only manage a fast lap of 1:06.604 minutes, coincidentally again in the tenth, but that was good enough to put him in the best position for Sunday’s finals. Arjun Nair (Meco) who finished third in the first heat and runner up in the second will start at P2. Aadityansh will be at P3. JK Tyre has always been closely associated with the world of sports. Almost three decades back the company laid down a long term and sustained approach to promote Motorsport. Participating in this form of the sport has helped the company in continuously updating its products to meet the challenges of grueling Indian conditions. The sport at that time in India was perceived for elite but JK Tyre took upon itself to package and redesign the sport to suit the masses. The company not only made the sport affordable but also equivalent to International operating standards. JK Tyre‟s foray into Motorsport was a well thought out strategic decision to not only use and develop this virgin branding platform but also to realize the dreams of making India a force in the field of motor sport. India, then graduate to Asian level i.e. to Formula BMW, which is now JKRAS and then they move to higher levels of racing. JK Tyre now stands closer to achieving its mission of bringing world-class motorsport to the Indian masses. The Racing and Karting programme by JK Tyre has been the breeding ground for the country‟s motorsport talents like NarainKarthikeyan, Armaan Ebrahim, Karun Chandhok, Aditya Patel and other emerging talent. Another pioneering initiative was the launch of the Truck Racing Championship in India in partnership with Tata Motors. The company developed & designed „JetRacing‟-the new generation truck racing tyres especially for this application. With this, JK Tyre became the first tyre company to produce truck racing tyres in India. The combination of the Prima trucks fitted with Jet Racing received an overwhelming response from participants and has definitely brought in a revolution in the Indian racing scenario. New Delhi, September 27: The premium Asia Road Racing Championship, which showcases the region’s top riders and manufacturers, returns to India with the Madras Motor Sports Club organizing the fifth round of the series at the Buddh International Circuit in Greater Noida on October 1-2. The ARRC round this weekend comprises the Asia Dream Cup (Honda CBR250) which will see two Indian riders, Hari Krishnan Rajagopal and Rajiv Sethu, besides the SuperSport 600cc that has country’s lone representative Shankar Sarath Kumar on the grid, the Asia Production 250cc and the Underbone 130cc. The three Indians apart, the ARRC will be parading plenty of exciting talent chiefly from Thailand, Japan, Indonesia and Malaysia, countries that have produced riders who have progressed to the World Championship level, and four top manufacturers Honda, Yamaha, Kawasaki and Suzuki. The weekend card includes the final round of the Volkswagen Vento Cup, the only four-wheeler category, apart from Round 4 of the MMSC One Make Championships in Honda (CBR 250 Open), TVS (Apache RTR 200 Open) and the Suzuki Gixxer Cup (Open) categories. VW Vento Cup. The ARRC riders will get into their stride with practice sessions on Friday. In all, 16 races will be held over the next two days. Chairman of the Meet, Vicky Chandhok said: “In keeping with MMSC’s tradition that dates back to the 1950s of organizing and promoting the highest levels of motor sport in India, we are proud to host a round of the Asia Road Racing Championship at the Buddh International Circuit this weekend. “The MMSC today organizes and promotes most of motor racing events in India and I am proud to say that seven of the country’s top manufacturers – Honda, Suzuki, TVS, Yamaha, KTM, Bajaj and Royal Enfield – are participating in our events in one form or other. “With Formula One no longer financially viable to host, it is the endeavour of MMSC to bring to India a high profile and top quality event such as the ARRC as part of our efforts to keep India on the global motor sport map besides making our country a motor sport destination. For Media queries, please contact: Anand Philar, AP Media Communications. Ph: +91-94835 48185. 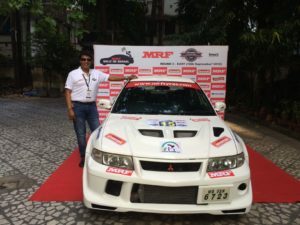 Kolkata, September 08, 2016 – Round 2, East of the MRF FMSCI Indian National TSD Rally Championship(INTSDRC) 2016 – the MRF Rally de Bengal commenced with the pre-event press conference today at the Princeton Club. The championship consists of 8 rounds (2 in each zone) in different parts of the country (schedule given in page 3). Top 7 teams from each zone will qualify for the National Finals to be held on completion of all zonal rounds. The MRF Rally de Bengal organized by Ramakrishna Race Performance Management Pvt. Ltd. (RRPM) will cover around 115 kms., which will include both dirt and tarmac roads in and around Durgapur on the 10thSeptember. The rally route comprises of public/private roads which remain undisclosed to competitors till the beginning of the event. “As we are in the top seven after round 1 of the east zone, we are counting on this event big time to enter the national finals and will give it our best.” said Somdeb Chanda, veteran TSD rally navigator and a participant in the MRF Rally de Bengal along with his wife, Debarati Chanda, who is the designated driver of their entry. Eminent TSD motorists like Saurav Chatterjee, Jogendra Jaiswal and others are participating in this event. The rally will follow the exciting trend of Secret Time Controls and Self Time Controls, a format introduced by RRPM which has been widely accepted and appreciated by all competitors for the last few years and is now a permanent feature in all rounds of the MRF FMSCI INTSDRC. Starting at 7:30 am from CCD on NH 2, the rally is expected to finish by 1:00 pm and the Podium Ceremony and Champagne Shower will be held at 4:00 pm in Hotel Rik in Domra. Secret Time Controls help in monitoring the cars during the rally. Times are noted of each car as they traverse through the given route and in the Self Time Controls, teams have to note their timings themselves. This does not allow any car to maintain a relatively high speed for a long duration and hence makes the rally safer. The concept of 0 & 00 cars was also brought to Eastern India by RRPM. The 00 car travels through the route about 15 minutes before the rally to check the track and the 0 car generally traverses through the rally route just before the rally begins and follows all the instructions like a participating team. MRF Rally de Bengal, which is Round 2, East of the MRF FMSCI INTSDRC is also the 4th event of the championship and the deciding round to choose qualifiers for the National Finals from the East Zone. Top seven teams after Round 1 - East are Jogendra Jaiswal & Prasenjit Roy, Shekhar Choudhury & Suvrajit Dutta, Biswanath Kundu & Sabatullah Khan, Subhodev Chatterjee & Gairick Khan, Santanu Saha & Mrinmoy Saha, Debarati Chanda & Somdeb Chanda, and Saurav Chatterjee & Souradeep Dutta. Qualifying teams from the already concluded North Zone include Rajendra Singh Shekhawat & Arjun, Rishi Kapoor & Yogesh Bansal, Laxman De & Punyabrata Barma, Aman Gulfam & Rahul Mukherjee, Deepshikha Bhaduri & Natarajan, and Sukhdeep Singh & Akash Gill. 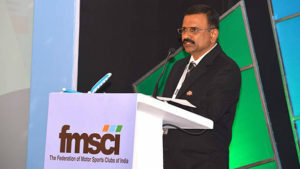 The Federation of Motor Sports Clubs of India (FMSCI), the governing body for all motorsport events in India has given the rights to promote the Indian National Rally Championship (INRC), Indian Rally Championship (IRC) and Indian National TSD Rally Championship (INTSDRC) to Ramakrishna Race Performance Management Pvt. Ltd. (RRPM), which has roped in marquee companies like MRF Tyres, Mahindra Adventure, Polaris and Pincon as key sponsors for the Indian rally season. TSD rallying (Time Speed Distance) is a form of motorsport usually conducted on public roads as well as off-road and dirt sections. The objective of these rallies is to maintain precise times and precise average speeds on various segments of a predefined route. Each team usually consists of a driver and navigator. Teams usually start a TSD rally at fixed intervals of a minute or two. At the time of flag off, each team is given a route schedule (tulip/road book) which guides the navigator with the route and average speed to be maintained. Along the route there are several TCs (Time Controls), the positions of which are unknown to the teams. The marshals note the timing at which each team arrives at the TCs. The difference between a team's actual times and the ideal times determine their penalties. (Lateness and earliness both attract penalties with earliness attracting more penalty than lateness). The team with the lowest number of penalties wins. Teams use several instruments like different types of Odometers, Terratrip, Monit, Brantz etc., extra speedometers, GPS and rally computers for precision in their time and speed. Ramakrishna Race Performance Management Pvt. Ltd. (RRPM) is a company formed with the sole intention of promoting “Professional Motorsports” in India and provides all kinds of technical assistance and information required to be at par with the National Level. RRPM was started in 2003 by Mr. Arindam Ghosh, an icon in his own rights with rallying and organizational experience of over 40 years. RRPM is proud to be a part of the Federation of Motor Sports Clubs of India, which is the apex body of India. The weekend fare includes races in the three main classes of the National Championship – the Super Sport Indian (165cc and 300-400cc), Pro-Stock 165 and Stock 165 – besides the MMSC One Make Championships for the three major manufacturers Honda (CBR 150 and 250), TVS (Apache RTR 200) and Suzuki Gixxer Cup. The programme also showcases two support races in the Superbike (600-1000cc) category and two Ladies races by Honda and Alisha Abdullah Racing Academy. Much of the focus this weekend will be on the top-end Super Sport Indian class that has a combined grid of 300-400cc and up to 165cc bikes piloted by established riders, some of them like TVS Racing’s Jagan Kumar, Sarath Kumar of Honda Ten10 Racing and veteran Rajini Krishnan (Team RACR), with international experience. Jagan heads the 165cc leaderboard with an 18-point lead over RACR’s Deepak Ravikumar. Behind the pair of front-runners, five riders are bunched tightly within 14 points of each other. 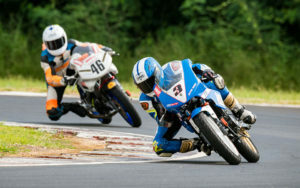 TVS Racing’s Harry Sylvester leads this chasing pack ahead of Sarath Kumar, team-mate Kannan Subramaniam, Rajini Krishnan and young gun KY Ahmed (TVS Racing). Another international rider Hari Krishnan of Honda Ten10 Racing heads the Pro-Stock category, having won all four races over the previous two rounds. Behind him are RACR’s Dinesh Kumar and Honda Ten10’s Rajiv Sethu, who like Hari Krishnan is a regular on the Asian circuit, with just one point separating them. Coimbatore’s Antony Peter (RMC Racing) and Anish Shetty from Hubballi (United Tech Torque Racing) are within nine points of each other at the top of the Stock 165cc class which attracts first-timers and young, aspiring racers. The three MMSC One Make Championships have proved to be very popular going by the huge number of entries and have produced keen competition in the previous rounds. It will be no less fierce this weekend with more than a handful of riders in contention for the championship titles. Nashik, 28th August ‘16: Gaurav Gill and Musa Sherif of Team Mahindra Adventure stormed to victory at Round 2 of the MRF FMSCI Indian National Rally Championship (INRC) - the MRF Rally of Maharashtra while Abhilash PG and Srikanth Gowda bagged top honors in the MRF FMSCI Indian Rally Championship (IRC).At the glittering podium ceremony followed by champagne shower held here in Nashik, the winners were awarded the trophies by honorable Madhav Nene, Senior General Manager, Marketing, Mahindra and Mahindra and Mr Bijoy Kumar, Chief of Mahindra Adventure, along with a prize money of Rs 50,000/-, in the presence of Mr. Arindam Ghosh, Director, Ramakrishna Race Performance Management (RRPM) – the promoters of the 2016 MRF FMSCI INRC and IRC. MRF Rally of Maharashtra being the only tarmac event in INRC and IRC 2016 was indeed a super fast event, which was made all the more challenging by the rain god. The slippery roads made Dean Mascarenhas and Ahmer topple their cars while Sameer Thapar slid off the road and got his car stuck in a mud bank. The slippery tracks did not even let Bopaiah K.M finish the rally as the lower arm of his car broke. On the other hand in spite of losing a lot of time due to 3 punctures in stage 1, 3 and 4, Amittrajit Ghosh of Team Mahindra Adventure managed to bag the 3rd position in INRC. The team of Gaurav Gill and Musa Sherif won the rally with an overall time of 52 minutes 08 seconds followed by Arjun Rao and Satish Rajagopal as the first runners-up (53:12) and Amittrajit Ghosh and Ashwin Naik, also from Team Mahindra Adventure as the second runners-up (53:59) at the exhilarating MRF Rally of Maharashtra which was organized by the Western India Sports Association. Bikku Babu and George Milen won the INRC 2000cc category with a time of 54:33, while K J Jacob and Manoj Mohanan won the FMSCI Cup. Abhilash PG and Srikanth Gowda, entered in the MRF FMSCI Indian Rally Championship (IRC) won their category with a time of 55:20 which ran concurrently with theINRC. Indian drivers in Indian cars were eligible for the INRC while Indian or Foreign drivers in Indian or Foreign cars were eligible for the IRC. It must be noted that the INRC and IRC are two separate championships and their results are not clubbed together or compared as they run distinctively different vehicles, most importantly, the INRC is for two wheel drive Indian vehicles only while the four wheel drive foreign vehicles are allowed in the IRC. The MRF Rally of Maharashtra, which is the 2nd round of the MRF FMSCI INRC and IRC 2016 season, zipped through the 6 stages covering about 75 kms. of tarmac roads around Bhandardara on the outskirts of Nashik. 32 teams from all over the country competed in this super exciting rally. Ramakrishna Race Performance Management Pvt. Ltd. (RRPM) is a company formed with the sole intention of promoting “Professional Motorsports” in India andprovides all kinds of technical assistance and information required to be at par with the National Level. Kolhapur: On a rain-hit Sunday, championship favourite Ricky Donison suffered a double blow that saw him surrender his leadership position after the fourth and penultimate round of the 13th JK Tyre FMSCI National Rotax Max Championship here at the Mohite Racing Academy. Donison of BPC Racing, who had won all three earlier rounds, couldn’t come to terms with the wet and slippery conditions on the track and lost his edge in the Senior Max category. He zipped into the parcferme area in the scrutiny bay as he felt that he had a problem with his kart. He came back a few minutes later to rejoin the race but by then the race organisers had removed his transponder, deeming him DNF (did not finish) on technical grounds. It meant that he had to be content with 38 points in the final that saw him slip to the second position with 324 overall points. Chennai’s Vishnu Prasad jumped into the lead in the battle for the championship by finishing third in the pre-final and fourth in the final on an action-packed Sunday. He has a nominal 4-point lead now with 328 points in his bag, going into the final round next month. The round itself was won by Mumbai’s Nayan Chatterjee (Meco Racing) in an exciting race. Starting from the sixth place, he drove aggressively to come into contention in the opening lap itself. By the fifth, he was in the lead and didn’t give any other driver the opportunity to catch him. For a brief while, Kolhapur fans had something to cheer as Dhruv Mohite grabbed the lead. But he couldn’t handle the heat generated by Nayan and the rest and slowly fell behind and eventually pulled out in the 12th lap. But the crowds still had reason to celebrate as another local boy Chittesh Mandody surprised all by coming from behind to finish second. Akash Gowda of Meco finished a commendable third, having started from the pit lane. Interestingly, the Junior Max and Micro Max categories too saw the current leaders, Manav Sharma and Shahan Ali, suffer defeats but that didn’t affect their positions on the championship table. In Junior Max, Manav of Peregrine Racing only managed to finish sixth after struggling with technical problems with his kart all through the weekend. But that was enough to keep him ahead of the pack with 334 points. Yash Aradhya of Meco won the round to climb one place up to second position with 328 points. Chirag Ghorpade of BPC had a great weekend, winning the two heats on Saturday and the pre-final in the morning. But he fell behind in the race that mattered and finished second. He is now in the fourth place in the championship race with 317 points. In Micro Max, Shahan Ali looked unbeatable till the rains came down. 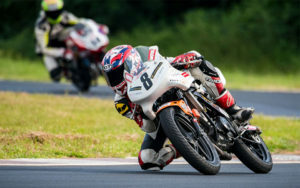 The 12-year-old from Agra preferred not to take any undue risk and couldn’t do anything as Arjun Nair (Meco Racing) sneaked past him in the opening lap itself. Shahan waited for Arjun to make a mistake but that didn’t happen; he made a late charge, even clocking the quickest timing in the last and 15th lap but Arjun held on to his nerve and warded him off. Bangalore’s Arjun is now just 28 points behind the leader in the championship race. In 2011, the company acquired the Formula BMW Series and rechristened it as the JK Racing Asia Series (JKRAS). With this acquisition, JK Tyre created history in Indian Motorsport by becoming the first Indian company to acquire an FIA accredited series. By taking over the series, JK Tyre promises to utilize it as a platform to encourage and support the world‟s best racing drivers and promote India as one of Asia‟s motorsport capitals. Thus, JK Tyre has conquered two steps in the motorsport program where the new racing aspirants first establish themselves inIndia, then graduate to Asian level i.e. to Formula BMW, which is now JKRAS and then they move to higher levels of racing. JK Tyre now stands closer to achieving its mission of bringing world-class motorsport to the Indian masses. fifth and final round of the MRF MMSC FMSCI Indian National Racing Championship concluded at the MMRT track in Sriperumbudur, near here on Sunday. Going into this weekend’s triple-header, Vikash Anand and Karthik Tharani were locked on 138 points. Anand began his campaign with a second place finish behind Tharani on Saturday, but won both the starts today to seal the championship. I worked hard to win this championship and I really can’t explain how I am feeling right now. Indy is a great opportunity to go abroad and explore new opportunities and learn. I will give my best to be competitive,’’ said Vikash Anand who returned to racing this season after an 18-month break and notched six wins for a tally of 206 points, 10 ahead of Tharani. Also achieving a double was Raghul Rangasamy who won both the races in the F1300 Rookie Championship and annexed the title. He later went on to claim the championship in the Super Stock class after Race 2 winner Veeresh Prasad was given a 20-second penalty for overtaking under yellow flags which demoted him to fourth place. The result saw Raghul and Veeresh tying on 142 points. Raghul was declared champion on the basis of his three wins to Veeresh’s two on the count-back which was employed to break the tie. Goa’s Keith Desouza (UNIMEK Racing) topped the Indian Junior Touring Cars class with a crucial win today which helped him finish on 199 points while his nearest rival Ananth Pithawala (Team N1) from Mumbai ended up on 191. Coimbatore’s Arjun Narendran (Red Rooster Racing), who had already clinched the championship in the premium Indian Touring Cars class, ended the season with a double for a tally of 240 points, well clear of Bengaluru’s Deepak Paul Chinnappa (Race Concepts) who finished on 135. Ishaan Dodhiwala from Delhi won Sunday’s both races in the Volkswagen Vento Cup to consolidate his position at the top of the leaderboard. 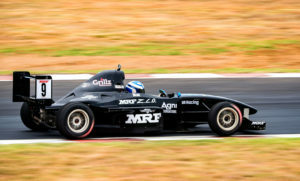 MRF F1600 (Race 2, 10 laps): 1. Vikash Anand (Chennai) (16mins, 54.111secs); 2. Raghul Rangasamy (Chennai) (16:58.677); 3. Karthik Tharani (Chennai) (17:02.390). Race 3 (10 laps): 1. Vikash Anand (16:55.247); 2. Karthik Tharani (16:56.108); Anindith Reddy (Hyderabad) (17:03.391). Championship: 1. Vikash Anand 206 points; 2. Karthik Tharani 196; 3. Raghul Rangasamy 171. Indian Touring Cars (Race 2, 8 laps): 1. Arjun Narendran (Red Rooster Racing) (15:14.881); 2. Ashish Ramaswamy (Red Rooster Racing) (15:26.777); 3. Siva Ramakrishnan (Red Rooster Racing) (15:34.819). Indian Junior Touring Cars (Race-2, 10 laps): 1.Keith Desouza (Unimek Racing) (23:54.238); 2.Ananth Pithawalla (Team N1) (23:55.704); 3.Charen Chandran (Red Rooster Performance) (23:57.784). Championship: 1.Keith Desouza 199; 2.Ananth Pithawala 191; 3.R Sri Hariram 113. Super Stock (Race-2, 10 laps): 1.Raghul Rangasamy (Performance Racing) (24:04.104); 2.Deepak Ravi Kumar (Pvt) (24:06357); 3.Dean Mascarenhas (Race Concepts) (24:08161). Championship: 1.Raghul Rangasamy 142 (3 wins); 2.Veeresh Prasad 142 (2 wins); 3.Dean Mascarenhas 117. F1300 Rookie Championship (Race 2, 8 laps): 1. Raghul Rangasamy (Wallace Sports) (15:38.816); 2. Tejasram CS (Wallace Sports) (15:43.047); 3. Alex Bora (Wallace Sports) (15:43.896). Championship: 1. Raghul Rangasamy 205; Tejasram CS 179; Alex Bora 135. Volkswagen Vento Cup (Race 2, 9 laps): 1. Ishaan Dodhiwala (Hyderabad) (20:13.197); 2. Dhruv Bhel (Delhi) (20:15.171); 3. Niranjan B Todkari (Pune) (20:17.447). Race 3: 1. Dodhiwala (Hyderabad) (19:44.856); 2.Karminder Pal Singh (New Delhi) (19:46.918); 3. Todkari (19.50.640). Chennai, August 20: Karthik Tharani made the best use of a poor start by his key rival Vikas Anand to take a comfortable win in the MRF Formula1600 race in the MRF MMSC FMSCI Indian National Racing Championship at the MMRT track, Sriperumbudur, near hear on Saturday. Tharani took the lead from P2 even as Vikas slipped to fourth and slowly opened a huge gap and won by over 12 seconds. However, Vikas managed to recover to second place and is now seven points behind Tharani with two more races scheduled for Sunday. Sandeep Kumar finished third pushing Raghul Rangasamy to fourth. The winner of the championship is eligible for the Mazda Road to Indy shootout this December. Arjun Narendran, who clinched the Indian Touring Car championship with a round to spare, won the first race with a lights-to-flag win while veteran Leelakrishnan came second with Ashish Ramaswamy third for a 1-2-3 finish for Red Rooster Racing. Earlier, in Race 1 of the Indian Junior Touring Cars class, Charen Chandran of Red Rooster Performance took a surprise win while Ananth Pithawala of Team N1 pushed Keith Desouza to third place. Desouza (174) leads Pithawalla (173) with Race 2 scheduled for Sunday. Veeresh Prasad (Race Concepts, 109) from Bengaluru took a one-point lead over Raghul Rangasamy (Performance Racing) after winning today’s race in the Super Stock category. Raghul finished third behind Deepak Ravi Kumar while Alisha Abdullah (Rad Racing) came in fourth which took her tally to 96. The other title contender Dean Mascarenhas (Race Concepts) remained on 102 points after failing to finish the race. Raghul Rangasamy extended his lead in the F1300 Rookie Championship by winning the first of the two races despite starting fourth on the grid. With his sixth win in nine starts, Raghul took his tally to 180 points, 19 clear of his nearest rival and Wallace Sports team-mate CS Tejasram, who started from pole position, but finished third behind Alex Bora. Starting second on the grid behind championship leader Ishaan Dodhiwala, Delhi’s Karmindar Pal Singh took the honours in the Volkswagen Vento Cup race. As the lights went off, Ishaan got off the grid with a lot of wheel spin which allowed Karminder to get past him on the first corner. From then on, Karminder kept his lead all the way to the chequered flag ahead of Ishaan and Aditya Vijay Pawar. On winning the race, Karmindar said: “My launch off the grid was the best today. That helped me get past Ishaan in the first corner itself. From then on, I just wanted to drive a clean race and make no mistake. I went off a little bit mid-way through, but fortunately Ishaan made the same mistake and I retained my lead in the race. 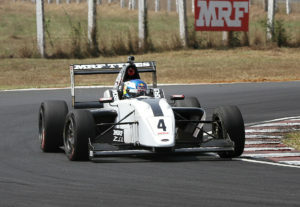 MRF F1600 (Race 1, 10 laps): 1. Karthik Tharani (Chennai) (17mins, 20.723secs); 2. Vikas Anand (Chennai) (17:32.296); 3. Sandeep Kumar (Chennai) (17: 36.497). Indian Touring Cars (Race 1, 8 laps): 1. Arjun Narendran (Red Rooster Racimg) (15:32.658); 2. N Leelakrishnan (Red Rooster Racing) (15:43.242); 3. Ashish Ramaswamy (Red Rooster Racing) (15:50.872). Indian Junior Touring Cars (Race 1, 10 laps): 1. Charen Chandran (Red Rooster Racing) (21:24.071); Ananth Pithawala (Team N1) (21:24.553); Keith Desouza (Unimek Racing) (21:32.575). Super Stock (Race 1, 10 laps): 1. Veeresh Prasad (Race Concepts) (21:42.254); 2. Deepak Ravi Kumar (Pvt) (21:44.881); 3. Raghul Rangasamy (Performance Racing) (21:53.701). F1300 Rookie Championship (Race 1, 8 laps): 1. Raghul Rangasamy (Wallace Sports) (15:53.517); 2. Alex Bora (Wallace Sports) (15:54.884); 3. Tejasram CS (Wallace Sports) (16:00.033). Volkswagen Vento Cup (Race 1, 8 laps): 1. Karmindar Pal Singh (Delhi) (20:26.665); 2. Ishaan Dodhiwala (Hyderabad) (20:28.120); 3. Aditya Vijay Pawar (Mumbai) (20:34.500). Anand Philar, AP Media Communications. Ph: +91-94835 48185. B David Ph: +91-98455 69496. Kolhapur: Senior Max racer Ricky Donison and Micro Max star Shahan Ali grabbed pole positions for Sunday’s pre-finals in the fourth and penultimate round of the 13th JK Tyre FMSCI National Rotax Max Championship here at the Mohite Racing Academyon Saturday. The Junior Max category saw championship leader Manav Sharma suffer a major setback, unable to start in either of the two heats with a kart problem. That allowed Chirag Ghorpade of Bangalore take pole position for Sunday, winning both his heatson Saturday. In the second Heat too, he jumped ahead of the pack quickly and won it in 12:56.490 minutes. Local lad Dhruv Mohite (Mohite’s Racing; third with 243 points) gave his fans a lot to cheer by claiming P2, by finishing second in the first heat and third in the second heat. His effort was even more commendable as he started in the fifth position in H1 and clawed his way up steadily, taking down three determined racers in his wake. He clocked a remarkable 52.553 seconds in the tenth lap and finished the race in 13:17.138 minutes to show his familiarity with the track where he has been racing since he was a kid. His Bangalore city mate Yash Aradhya of Meco Racing finished second in the two heats to take P2. Jonathan Kuriakose of Mumbai finished third in Heat 1 and fourth in Heat 2 to take P3. Twelve-year-old Shahan Ali won both his heats in the Micro Max rather comfortably, and might well pocket the championship in the penultimate race itself. He is comfortably ahead with 262 points and two wins on Sunday might be enough to put him beyond reach. Pune’s Aadityansh of Rayo Racing, who pulled off a surprise in the qualifying by finishing second held on to his position to take the second position. He however faded away in Heat 2, finishing sixth. Kunal Vinod of Bangalore, representing Birel Art, made a desperate charge after squandering his P3 in Heat 1, to finish a commendable second in Heat 2. That will see him start in Pole position on Sunday for the prefinals. About JK Tyre Motorsport: JK Tyre has always been closely associated with the world of sports. Almost three decades back the company laid down a long term and sustained approach to promote Motorsport. Participating in this form of the sport has helped the company in continuously updating its products to meet the challenges of grueling Indian conditions. The sport at that time in India was perceived for elite but JK Tyre took upon itself to package and redesign the sport to suit the masses. The company not only made the sport affordable but also equivalent to International operating standards. JK Tyre‟s foray into Motorsport was a well thought out strategic decision to not only use and develop this virgin branding platform but also to realize the dreams of making India a force in the field of motor sport. In 2011, the company acquired the Formula BMW Series and rechristened it as the JK Racing Asia Series (JKRAS). With this acquisition, JK Tyre created history in Indian Motorsport by becoming the first Indian company to acquire an FIA accredited series. By taking over the series, JK Tyre promises to utilize it as a platform to encourage and support the world‟s best racing drivers and promote India as one of Asia‟s motorsport capitals. Thus, JK Tyre has conquered two steps in the motorsport program where the new racing aspirants first establish themselves in India, then graduate to Asian level i.e. to Formula BMW, which is now JKRAS and then they move to higher levels of racing. JK Tyre now stands closer to achieving its mission of bringing world-class motorsport to the Indian masses. 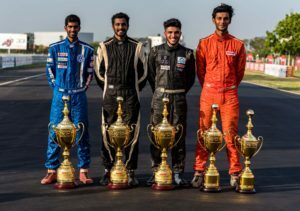 The Racing and Karting programme by JK Tyre has been the breeding ground for the country‟s motorsport talents like NarainKarthikeyan, Armaan Ebrahim, Karun Chandhok, Aditya Patel and other emerging talent. Another pioneering initiative was the launch of the Truck Racing Championship in India in partnership with Tata Motors. The company developed & designed „JetRacing‟-the new generation truck racing tyres especially for this application. With this, JK Tyre became the first tyre company to produce truck racing tyres in India. The combination of the Prima trucks fitted with Jet Racing received an overwhelming response from participants and has definitely brought in a revolution in the Indian racing scenario. 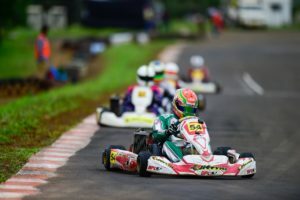 Kohlapur: High octane racing will return to Kolhapur after a year’s gap, with the fourth and penultimate round of the 13th JK Tyre-FMSCI National Rotax Max Karting Championship scheduled to take place at the state of the art Mohite Racing Academy over the August 20-21 weekend. The round promises an exciting fare with all eyes set on Ricky Donison of BPC Racing who has been in supreme form throughout the season. Bengaluru’s Donision with a tally of 252 points is leading the charts, and will aim for an encore, that not only will maintain his 100% record this season but also consolidate his position at the top. However, it will not be an easy run out there for Donison, as he will be up against a strong challenge from Chennai’S Vishnu Prasad of Meco Racing (247 points) and local lad Dhruv Mohite of Mohite Racing (243). Both the drivers will be go out all guns blazing and aim to narrow the gap at the top. Dhruv will perhaps fancy his chances a little more as he will literally be racing in his backyard, being a Kolhapur racer and also the owner of the Mohite Racing Academy track. JK Motorsport’s president Sanjay Sharma believes that this round may well be the most critical one for the championship. “All the racers know that a big prize awaits them if they win the national championship. They will be rubbing shoulders with 360 of the finest racers from 50 nations,” he said. In the Junior Max (for kids between 13 and 16) and Micro Max categories (for kids between 7 and 12), Manav Sharma and Shahan Ali are in much more comfortable positions, with 9-point and 16-point leads. Manav of BPC is ahead with 257 points, having won the first round and taking the fourth and second positions in subsequent rounds. But Meco’s triumvirate of Nirmal Umashankar (248 points), Yash Aradhya (240) and Paul Francis (231) will surely come up with a joint strategy to unseat him from the leader’s position. Twelve-year-old Shahan, who suffered some bad luck in the Rotax Euro finals over the last weekend and finished 29th, has reason to believe that life will be much easier back home: he might even believe that the Micro Max championship is almost in his pocket. He has been virtually untouchable in the earlier three races and is sitting pretty on 262 points. Ruhaan Alva (246) of Perigrine, Arun Nair (241) of Meco and Arjun R (239) of Birel Art can only hope to fight for the second and third positions. The action will begin at the Mohite Academy on Saturday with practice rounds in the morning. The four races in each of the categories will take place over the weekend, the first two eachon Saturday and the last two each on Sunday, with drivers from across the country ready to burn rubber. If the month of June had six National Championship rounds, July has seven as the 2016 Indian motorsporting season picks up both speed and momentum, also with the much-awaited FMSCI Indian National Rally Championship/FMSCI Indian Rally Championship for cars opening with the Rally of Coimbatore on July 23-24 and the first round of the JK Tyre FMCI National Racing Championship for JK FB02 and LGBF4 cars to be held at the Kari Motor Speedway in Coimbatore between July 29 and 31. July will open with the fifth round of the JK Tyre IndiKarting National Series (July 1-3, organisers RR Motorsports Mgt Pvt Ltd, Mumbai, rayoracing@gmail.com, 022-32229659, 09892077956) and will also feature a round each of the FMSCI National Superleague TSD Rally Championship (4W), MRF MMSC FMSCI Indian National Racing Championship for cars, JK Tyre FMSCI National Rotax Max Karting Championship, MRF MoGrip FMSCI National Rally Championship for motorcycles and the MRF MMSC FMSCI Indian National Motorcycle Championship. Round 4 of the FMSCI National Superleague TSD Rally Championship (4W) will be the 5th Mughal Rally in Srinagar (J&K) to be held between July 14 and 17. (For further details contact Himalayan Motorsport Association, Shimla (vijay@raid-de-himalaya.com, info@raid-de-himalaya.com, 0177- 2842916, 098160 04137). Subir Roy and co-driver Nirav Mehta had won the third round at the Backwaters Rally in Kochi. 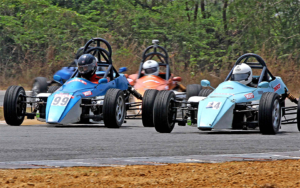 The fourth round of the MRF MMSC FMSCI Indian National Racing Championship for cars will be staged at Chennai’s MMRT circuit between July 15 and 17. The categories are the MRF FF1600, Super Stock, Indian Touring Cars, Indian Junior Touring Cars and Formula LGB 1300. 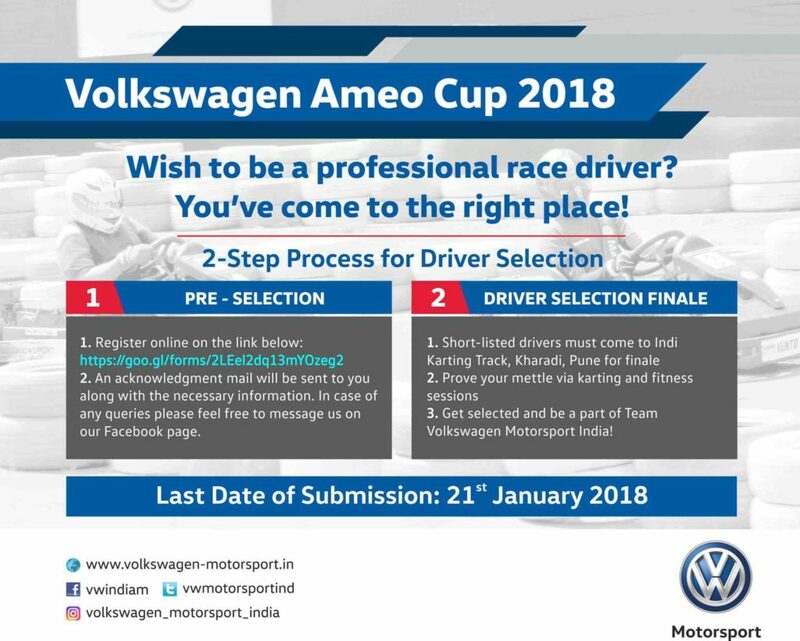 The second round of the MMSC VW Vento Cup will be held concurrently. (For further details contact MMSC, Chennai, mmscgmo@gmail.com, 09841031576, 044-28520023). Coimbatore’s Arjun Narendran won all three races in the Indian Touring Cars category in the third round held at the Kari Motor Speedway in Coimbatore in June. Round 3 of JK Tyre FMSCI National Rotax Max Karting Championship will be staged at the Kari Motor Speedway in Coimbatore between July 15 and 17 (For further details contact Meco Motorsports Pvt Ltd, Chennai, 098844-03363 / fayaz@mecomotorsports.com). 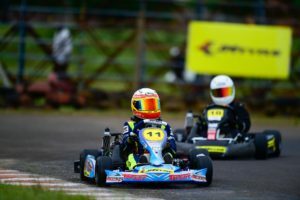 Ricky Donison, Yash Aradhya and Ruhaan Alva emerged as the winners in the Senior Max, Junior Max and Micro Max categories respectively in the second round. The fourth round of the MRF MoGrip FMSCI National Rally Championship for motorcycles will be held in Coimbatore on July 16 and 17 (For further details contact Godspeed, Pune,godspeedracing.in@gmail.com, shyamkothari69@gmail.com, 09890168000). 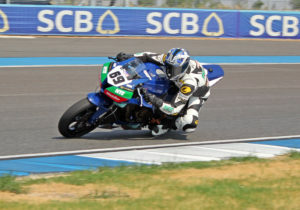 TVS Racing’s Abdul Waheed Tanveer won the opening three rounds to take a big step towards winning the National title. 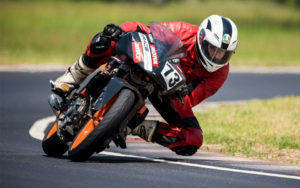 Round 2 of the MRF MMSC FMSCI Indian National Motorcycle Championship will be staged at Chennai’s MMRT circuit between July 21 and 24. The categories are Stock (above 130cc up to 165cc), Pro Stock (above 130cc up to 165cc), Super Sport Indian (above 130cc up to 165cc), Super Sport Indian (Above 200cc up to 300cc), Super Sport Indian (above 300cc up to 400cc). The second round of the MMSC One-Make Championships of TVS, Honda and Suzuki Gixxer Cup will be held concurrently (For further details contact MMSC, Chennai,mmscgmo@gmail.com, 09841031576, 044-28520023). Hari Krishnan Rajagopalan of Team Honda Ten10 Racing team chalked up a fluent double in the Pro-Stock 165 class in the opening round. Rally of Coimbatore, Round 1 of the FMSCI IRC/INRC, will be held in Coimbatore on July 23 and 24 with the Special Stages a mix of dirt and gravel (For further details contact CASC, Coimbatore, casc.cbe@gmail.com, 098435-44242). The IRC is open to Saloon cars/SUVs which are homologated with the FIA/ FMSCI and prepared under any Rally Technical Regulations of the FIA/ FMSCI. The INRC is open to Saloon cars / SUVs which are homologated with the FMSCI and under Group N Technical Regulations of the FMSCI and FIA R2 Technical Regulations. The categories in INRC are: Overall, Upto 2000cc, INRC 1400cc and FMSCI Cup. The opening round of the JK Tyre FMSCI National Racing Championship for JK FB02 and LGBF4 cars will be held at Kari Motor Speedway in Coimbatore from July 29 to 31. Vishnu Prasad of Meco Racing and Ajay Kini of Dark Don Racing are the reigning champions in JK FB02 and LGBF4 respectively. The Maruti Suzuki Dakshin Dare will be held between July 30 and Aug 6 and comprises two and four wheeler categories in the Extreme and TSD sections. 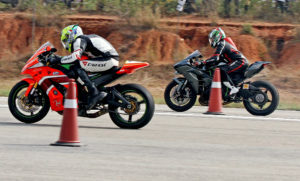 It is organised by Motorsport Inc, Bangalore (080-23181709/09035325655, Jaidas Menon). July 1-3: JK Tyre IndiKarting National Series, NCR Noida Wonder Speedway (Contact RR Motorsports Mgt Pvt Ltd, Mumbai, rayoracing@gmail.com, 022-32229659 /09892077956). July 9-10: Gulf-Monsoon Scooter Rally (2W), Mumbai (sportscraft@gmail.com, 022-23677631). July 17: Vizag Autocross (4W), Vizag (TT Motorsports, ttmotorsports128@gmail.com, 891 2732660). July 23-24: Malwa Adventure TSD Rally (2/4W), Indore (Malwa Motorsports Club, afzalbunglowala@gmail.com, 09827010807). For further details, please feel free to call FMSCI Media at +91 9629259138. P.G. Abhilash / Srikanth Gowda have been declared the winner of Rally of Coimbatore after the Stewards upheld the protest lodged by him. They were also declared the winner of the IRC category. The next round MRF Rally of Maharasthra is scheduled between 27-28 August 2016 at Nashik which is a tarmac rally. Closing date of entries is on Monday, 22nd August 2016.